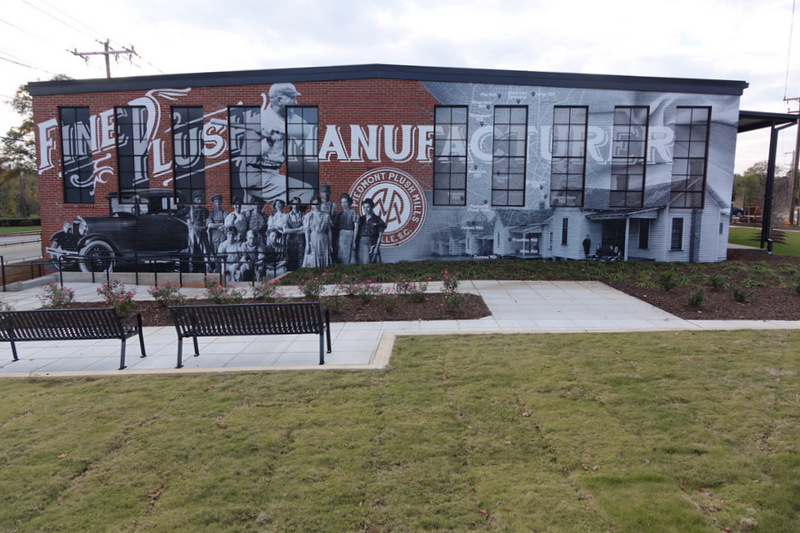 This mural on the former Plush Mill depicts scenes of the former Greenville mill town. This is now the home of Serendipity Labs coworking space. 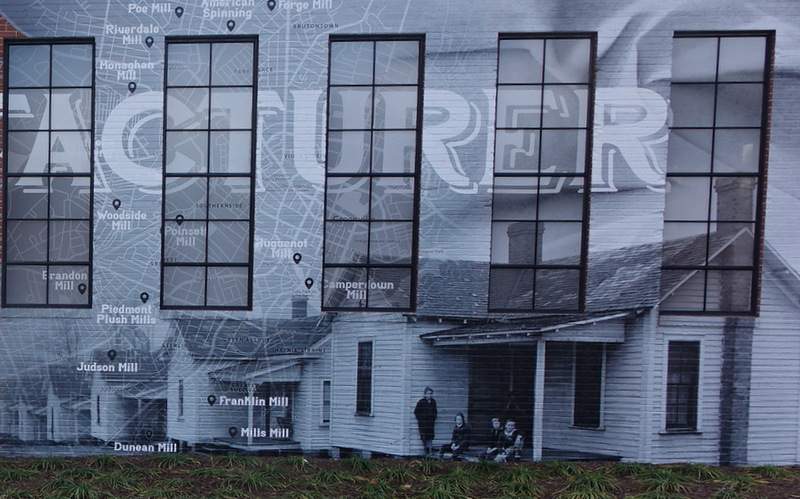 As shown in the detail below, the mural blends with building features while including a map of former mill locations on the Greenville Street layout.